The Internet Law Group is the premier law firm specializing in locating and prosecuting internet criminals. The Internet Law Group provides legal services to Project Honey Pot in order to bring legal action against spammers, harvesters, dictionary attackers, and comment spammers. 1&1 Internet, a leading Web host and Internet provider, offers Web solutions to private users, freelancers, and companies. 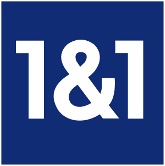 1&1 operates in various markets, including Germany, Austria, Great Britain, France, Romania, Spain and the United States. It provides Web hosting services, including websites, domains, servers, online retail and e-commerce solutions to a global community of more than 9 million customer contracts. In Germany, where the company was founded in 1988, 1&1 is also a leading Internet and telephone provider. Quova, Inc. enables online businesses to instantly identify where a visitor to their Web site is geographically located. Online companies including broadcasters, e-retailers, ad networks, banks, and government agencies integrate Quova's IP geolocation data into their Web applications to geotarget their advertising and content, detect card-not-present fraud, manage distribution of digital content, comply with local laws, and more. Quova delivers detailed demographic and network characteristic data about an IP address and the data is 99.9% accurate at the country level and up to 98.2% accurate at the US state level (attested to by PricewaterhouseCoopers). Townsend Networks is a global reseller of used Cisco, Foundry and Juniper data networking hardware. Townsend saves customers time and money by delivering clean and reliable equipment quickly and at a fraction of the cost of new. Townsend also purchases excess hardware and offers trade-ins. Project Honey Pot could not exist without sponsors who donate hardware, software, bandwidth, and other services. Contact us to talk about sponsorship opportunities if you believe there is a way your company can help.